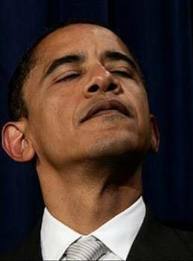 … [Obama] exudes the attitude of a mean-spirited, self-satisfied S.O.B. who considers anyone who disagrees with him to be either immoral or stupid. Hence, it is really hard for me to believe that the more than 50 percent of voters who don’t “like” his policies nonetheless truly “like” him personally. I mean, it is really easy to tell a pollster that you don’t like a rich white guy like Mitt Romney, but a lot harder to say you find a reasonably articulate, attractive, “black” man who wears his pants above his rear end to be unlikable. …The president doesn’t just make his fans faint, he cracks them up with a reliability that Groucho Marx or Johnny Carson might envy. The president won the Nobel Peace Prize when he really deserved to nose out Robin Williams for recognition as a “Stand-Up Icon” at The Comedy Awards. “So a few weeks ago, you can start seeing he’s figuring out, well, this isn’t maybe selling that well. (Laughter.) And then, a few nights ago — (laughter) — suddenly a guy pretending to be Mitt Romney stood on a stage next to me — (laughter and applause) — and said he’s changing his plan. He is just going to pretend it doesn’t exist. It’s not just the mildly amusing material. He can say he’ll get rid of boondoggles and bridges to nowhere, and get laughs. He can say he’s created millions of private-sector jobs and get them rolling in the aisles. There may well be an audience out there that has laughed uproariously when he said he killed Osama bin Laden. The laughter is testament less to Obama’s actual wit than the overriding belief among his listeners that he is witty. When his supporters arrive at an event, they expect to be entertained and dazzled. For them, he is the most interesting president in the world. He exists in a bubble of adoration almost as impenetrable as the security bubble created by the Secret Service. So, WHAT’S to like? That question danced around my head during Monday night’s debate. Every time President Obama mocked, personally attacked and sneered at Mitt Romney, I kept wondering why so many Americans say they like Obama even as they don’t like his policies. How do you like a president who shows utter contempt for his opponent? How do you like a president who responds to criticism of his record with a snide blast at his opponent’s personal wealth? The questions would be easier to answer if the debate were an exception. But it wasn’t. Numerous reports from the White House recently have Obama openly expressing raw “disdain” for Romney. Worse, the Romney treatment is no exception, either. “Disdain” describes the feelings Obama expressed about many others during his term. His slams on opponents and critics as “greedy” and “unpatriotic” and “dishonest” cross a line most politicians don’t. It’s odd behavior for a president, or anybody in public life. Even professional football players, who use physical pain to intimidate opponents, usually come away expressing mutual respect when the dust settles. Is presidential politics more blood sport than the NFL? Or is Barack Obama just less respectful than your average jock? The issue is not academic, with most polls showing Obama enjoying a big margin on “likability.” A July survey gave him a 60-30 edge on that angle, though recent ones show Romney has erased the gap because of the debates. With his economic record an albatross, the likability factor helped to keep Obama ahead or tied in a race he should be losing. The problem for him now is that the more America gets to know him, the less it likes him. Likability, of course, is in the eye of the beholder, and with Obama, it requires distance. Up close and personal, he gives a very different vibe. There, the mask comes off to reveal the contempt we saw in the debate. As confessions go, that one rings true. In other words, from an early age, Obama learned to use his race to manipulate the guilt most white people are conditioned to feel about blacks. And if it can work on your own mother, it can work on anybody – 300 million American voters, for example. Still, I can’t help but wonder whether this shtick is starting to annoy voters who as of yet have not drunk the Hope and Change Kool Aid. Most pundits declared Joe Biden the “winner” of his debate with Paul Ryan, but a couple of weeks later, all most people remember is Joe’s snorting and laughing. Of course, Biden is merely a white guy without Obama’s racial kryptonite. Like Biden, Obama was also declared winner of the final debate, but again you have to wonder whether Obama’s “obnoxious” behavior (in the words of The Hill’s A. B. Stoddard) is all that anyone will remember on election day. Or will Obama’s manipulation of “white guilt” continue to work for him. 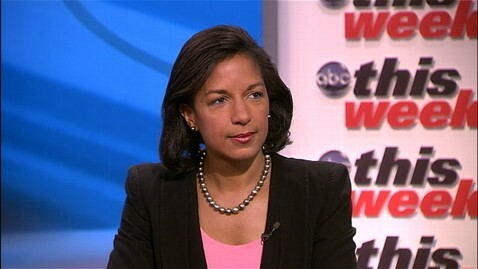 Why was the Obama administration so intent on purveying the story that the Libyan murders were a reaction to a YouTube video? One reason is that the campaign thought they had dealt effectively with the foreign policy issue with the following spin: Iraq is over, Afghanistan is all but over, bin Laden is dead and al Qaeda is decimated. In other words, peace is at hand except for a few slightly annoying random terrorists who are “on the run” and easily foiled. The Benghazi attack was one of those unforseen events that can really screw up a candidate’s “narrative.” Thus the attempt to depict the murders as a spontaneous demonstration that got out of hand. What isn’t mentioned much is that the administration’s story fits in well with the modern day Democratic Party’s view of the world. This view was described best by Mark Steyn: There are no bad people, only good people whose grievances we have not yet accommodated. According to this vision, every act of violence committed by foreigners against Americans is a reaction to America’s allegedly unjust behavior towards foreigners. The video that offended Muslims was created by an American; hence, the action of an American (who was conspicuously arrested on a trumped up charge) was the “root cause” of the atrocity. And just about everyone got into the act. Obama went viral with his bowing and scraping routine on Letterman, at the U.N. and on The View. Hillary was besides herself with outrage at…the video maker. But it was left to U.N. ambassador Susan Rice to do the Full Ginsburg (named after Monica Lewinsky’s attorney who was the first person to appear on all five Sunday talk shows on a single day) to put the issue to bed (at least until after election day). She doggedly stuck to her spontaneous-demonstration-inspired-by-an-insulting-video talking points despite the incredulous reaction of her liberal inquisitors. The Democratic media is doing its best to keep the murders from sprouting legs. We will see whether Romney is able to force some clarity on the murders from Obama during Monday night’s debate, or whether Obama (with the help of Bob Schieffer) will be able to perpetuate this smoke and mirrors routine. For decades now, people, mostly Republicans, have complained about the Presidential Debates format where TV stars, er…”journalists,” control the show. The Republicans have the most to complain about because virtually every one of these TV “journalists” is a Democrat. Nevertheless, Republicans have continued to participate in “shows” that are clearly devised to benefit their opponents. Republicans, amazingly enough, even allow these Democrats to “moderate” their own primary debates! There is little disagreement by now that the non-Murdoch media is thoroughly Democratic (there are many studies proving just that), which is why public distrust of the media is at its highest level in modern history. Longstanding Democratic media bias and, in particular, the present media’s passionate love affair with The-First-African-American-President, also known as, “the most brilliant, most eloquent, most compassionate and coolest guy to ever occupy the Oval Office” should have reached critical mass well before this campaign began and led the Republicans to demand changes. Debate critics usually point to the Lincoln-Douglas Debates, where there was no moderator, as the proper format, but I doubt it would work on TV. A better model would be William F. Buckley’s Firing Line debates, where a moderator did nothing more than keep time while the participants made statements, responded to statements, and asked each other questions. 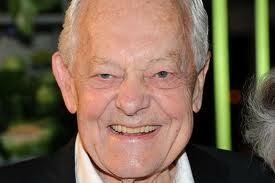 Next Monday, we can expect much the same from Dan Rather understudy Bob Schieffer. Good for Obama, bad for the country. Earth to Krugman: The “Reconciliation Candidate” is Who? Al Gore blamed it on the altitude; Bob Woodward on the “distraction” of some personal or secret national security issue. But yesterday on ABC’s This Week, Paul Krugman excreted the most preposterous excuse of all for Obama’s debate thrashing at the hands of Mitt Romney- a man Obama reportedly believes is “unfit” to be President. This, of course, says little about Romney’s unsuitability for high office since Barry (and his band of idolators) considers no one, alive or dead, sufficiently suitable compared to himself. [George] STEPHANOPOULOS: In the debate he toughed up in 2008. 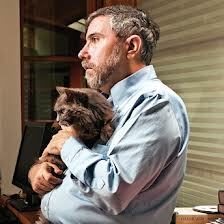 KRUGMAN: Because he needs to be — have his head against the wall. So this was classic. This was him – this was the real Obama who does not like — he really wants to be a president of the whole nation. And he somehow has a hard time wrapping his mind around the necessity to take a tougher line. Huh? Is this the same Obama who has sliced and diced the electorate into smaller and smaller special victims interest groups? Is this the cheap demagogue who sneers at “millionaires and billionaires,” also known as couples who earn $250 thousand a year? Isn’t it much more likely that Obama chokes when, bereft of his teleprompter and without a friendly media toady running interference, he must go one-on-one with a live, sentient opponent? Luckily, the no-nonsense Mary Matalin was also on the panel. 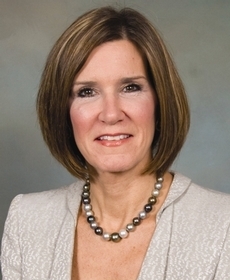 Matalin takes special delight in going after puffed-up New York Times columnists. 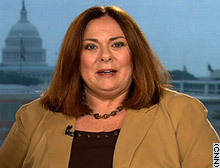 A few years ago, she demolished Georgetown diva Maureen Dowd by referring to her, on Meet the Press as “the social secretary to the smart set.” Dowd reacted with a stricken look and to my knowledge has avoided the Sunday talk show circuit ever since. Matalin understands that only credulous New York Times readers and those who worship at the graves of academia could possible take seriously a fraud like Krugman. Krugman has been ensconced for a long time in the hermetically sealed echo chambers of the Times and Princeton, which is why he can utter obvious nonsense with such aplomb.